These systems are trained to recognize tags, images, use of language and other factors to deliver the most relevant results. For instance, if you are doing your weekly shop online and search for ‘bread’ but the option that comes up isn’t quite right - the retailer using deep learning will be able to suggest similar options that might be more tailored to your preferences, say you often go for wholemeal options etc. Each week, Walmart, one of the largest retailers serve ‘nearly 260 million customers who visit our 11,504 stores under 65 banners in 28 countries and e-commerce websites and apps in 11 countries.’ Their implementation of deep learning provides them with an understanding of their customers allowing them to not only be ‘a retailer competing in Silicon Valley’, but a company building ‘an internet technology company inside the world's largest retailer.’ WalmartLabs aim to help people save money anytime, anywhere - in store, online and on mobile. At the Deep Learning in Retail & Advertising Summit in London, we will hear from Alessandro Magnani, Distinguished Data Scientist at WalmartLabs who will discuss how AI and machine learning can be applied in e-commerce, specifically in search, pricing, entity resolution, product classification, and recommendation. 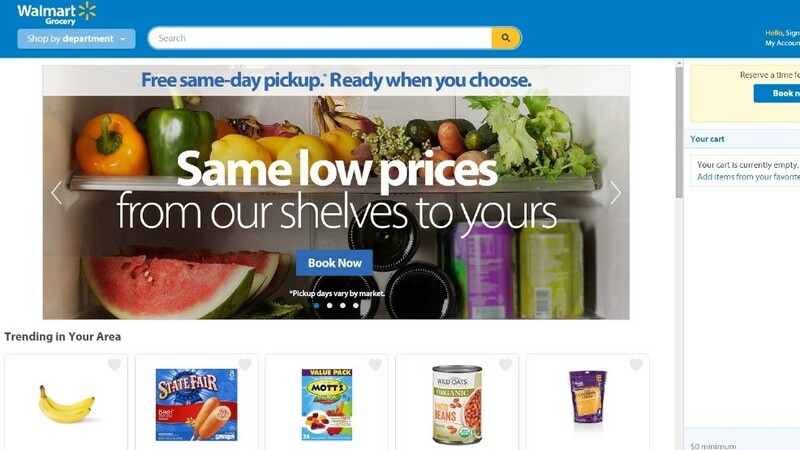 How is WalmartLabs helping to redefine the shopping experience? We are redefining grocery shopping by bringing online/offline experiences together. You can order at home, check in when you are on your way, pick up at store drive-thru (we load the groceries in your car), pick up in kiosks, or lockers. Another example is Scan & Go in Sam's Club where you check out items using your phone so that there is no wait time no in checkout lines. What started your work in deep learning and more specifically product classification, attribute extraction and search? Our catalog contains millions of products with very rich data that includes, among other things, titles, descriptions images, attributes. One of the first projects in deep learning that got us started, was to leverage not only the text data of our catalog but the images as well. Deep learning was a clear candidate to address this problem. Moreover, in an effort to improve the accuracy of our classification we started exploring deep learning architecture for text classification. What problems are you currently facing in your work, and how are you using AI to overcome them? Managing product data at scale is a challenge and ML and DL help to fully automate or to limit the manual effort require curating the data. When users interact with our website is extremely important to understand their need and to return the best set of products to meet their need. ML and DL provide a way to understand users through their interaction with our store to help them find what they want. Moreover, AI helps our merchandizing and marketing teams to make the best possible decision when acquiring, stocking and advertising products. In the next 5 years, how do you see AI impacting your customers on a daily basis? I believe that visual search will become mainstream. Customers will actively engage with our website using images to find items with similar style and other visual attributes. Conversational shopping will also play an important role. Customers will be able to meaningfully interact with an AI agent. The agent will be able to guide and help the customer in selecting a product that matches their need almost as if they were talking with an expert of that product category. As big data becomes more freely available to companies of all shapes and sizes, cross industry businesses are employing deep learning in their work to optimize customer experiences. Alongside WalmartLabs, presenting at the Deep Learning in Retail & Advertising Summit in London this March 15 & 16 are experts from Pinterest, Facebook, Maluuba, Deutsche Telekom, Google, Intel and many more who you can view here. Passes for the summit are still available, so register now to guarantee your place and join global pioneers in the ‘Silicon Valley of Deep Learning’.